New bear species discovered: Ursus Bogus | Watts Up With That? I had been avoiding this photo issue, because well, the whole thing is stupid no matter how you look at it and it’s been been heavily covered elsewhere. But when Tim Blair coined the clever headline “Ursus Bogus“, in the Daily Telegraph, I knew I had to pass it on to American readers. WUWT readers may also recall NOAA/NCDC using photoshopped pictures of a flooded house in their big whoop-de-doo climate impacts report last year. They had to pull the report. Heh. We are deeply disturbed by the recent escalation of political assaults on scientists in general and on climate scientists in particular. All citizens should understand some basic scientific facts. I wonder how they missed the description here at the source of the photo? So much for peer reviewed editing. Maybe next time they’ll use the penguin version. May 12, 2010 in Alarmism, Ridiculae, Science, Uncategorized. Small correction from us parochial convict types: Aussie Telegraph not the UK one Anthony. AGW, forlorn on a floe of melting ironies. It’s interesting that the name of “Science” is associated with the use of a photoshopped picture. Very interesting. Well, considering the ethics and honesty of the source, it is certainly in character. -and we are proud of him! Fake is the new Science. Should we call the climate “scientists” “fakists” now? Please note the touching titles on the photographs. The lunatic left now has an industry devoted to fabricating fake evidence of global warming. Our stolen tax dollars at work! Oh Bugger! Why can’t we have him? They’re called Science and they can’t tell that an obvious Photoshop composition is impossible in nature and doesn’t resemble any region on Earth. So did they ask Paul Nicklen/National Geographic/Getty Images if that one was a “collage”?! Or did they leave that up to the unavoidable uncertainties of Science, and of National Geographic’s conclusions? Ursus Bogus????? Thanks, Anthony. I enjoyed that. For some reason the penguin version doesn’t have a reflected image of the penguin in the water. Must be a vampire penguin. hi guys, so far I’ve had no response to the emails I sent to cryo and nansen asking for their sea ice data in text (date – quantity) format. Can the WUWT community help me get the data if we need to resort to FOIA? I’m a uk national, and I think to FOI request data from cryo, you need to be a US citizen. Same with nansen – you neeed to be nowegian? i.e. Date and a value for the ice area on that date. I looked for the data on your website but in was in graphical form, with some of the data abstracted as an average. – I think they might block the request on the grounds that ( date – quantity ) is not raw data, it’s an ( their ) interpretation of the satelitte data. Are they allowed to block on these grounds? – it’s only been a week since I sent. Maybe they are busy. What next? Save the zebronkey? “Collage” is a scientific term meaning that the polar bear was overlaid onto the ice photo so we can see the relative size of the remaining ice pack. This is very similar to the way the instrument record is shown bright red on top of the proxy “record” for comparison purposes. Even if that picture was true, the bear is not in trouble since they can swim for hours. If only Phil had thought to say that his most famous graph was actually ‘a collage’. The picture has been replaced by one taken in the Hudson Strait, a passage to Hudson Bay which is ice free every summer, the ice being from a glacier. Science neglects to reveal this however, despite the embarrassment of the first picture. The cheap tricks continue. They deserve to be assaulted, and the signers should be ashamed to be part of it. One picture there appears to show the Arctic Ice has turned into solid ground. Oh Science magazine, I for one very clearly understand your “scientific facts” (and your subtle lies). Maybe we can suggest they put the Bear AND the Penguin on the ice floe. That would be especially heartbreaking. … and realistic…. I’ve heard of a cross between a Grizzly and a Polar bear before. Is Ursus Bogus a cross between a Polar bear and a Teddy bear? It’s good to see you’re not getting involved in this nonsense. Oh wait! The penguin version is even more stupid. Maybe somebody can PhotoShop a picture of Professor Jones standing on an ice flow, looking forlorn as his funding melts away. It’s been more than six months since climate gate broke and there doesn’t yet seem to be a definitive study debunking CAGW. Is that not enough time? I’ve seen lots of little incriminating things here on WUWT, but there doesn’t seem to be a devastating and solid study finally exposing where the errors lie. The closest I’ve seen to that was a few months ago when someone looked at the thermometer temperatures and found a serious divergence. But oddly the divergence seemed to only begin in the sixties. The result seemed dubious and maybe it was, because nobody seems to be talking about that study anymore. I’m surprised Anthony doesn’t have a summary of the important evidence somewhere on his site. Wikipedia is nearly worthless for learning the skeptic side of the story. The thing I’m surprised about most is the widespread support of the hide the decline method. It seems like blatantly bad science, but I’ve seen no repudiation of it by major scientific societies. It’s hard to believe they’re all without honest scientists. Or am I missing something? They seem to have two defenses. One is that other studies like those on sediments have given similar results. But this seems to be like saying “Yea, our methods were fraudulent, but our friends who desperately want the medieval warm period to go away and have been defending our fraudulent methods, are getting similar results, so it’s ok that we used fraudulent methods.” They’ve also claimed that only some tree rings show a divergence. But it seems like you would need an awfully powerful incentive to include data in your calculations that would dramatically undermine the credibility of your study. If they actually had tree ring data without divergence, that could give similar results but without the problems, then why would they include data from the trees that give false temperatures? Funny thing is, the real picture is of a larger ice floe with 2 bears. Not much of interest here. Daddy, why are the ripples going right through the ice? That’s rotten Arctic ice, darling. Nearly everything goes right through it, some people say it’s not even really there. About the only thing it does support is funding for those Caitlin explorers. It’s funny, because you don’t have to photoshop up a picture of people snowed into their houses in May, but you do you to photoshop up a picture of a Polar bear on a melting ice floe. What does that say about the state of the evidence? And doesn’t anyone realise the Polar Bears are powerful and skilled swimmers? Virtual polar bears have rights to, ya know! Maybe it’s one of those global warming grolar pizzly bears. Because they’re crack investigative journalists. They’ve missed the point of what was written in ClimateGate emails. They’ve missed all the errors in Al Gore’s movie. They can’t understand that the IPCC reports are framed by politicians and not scientists. They can’t see all the corrupt money in global warming. They’ve never stopped to ask why Al Gore would buy property on the ocean, or why he flies to all of his speaking engagements on a Gulf Stream jet rather than just doing a web cast from where he lives. They call superlative scientists like Richard Lindzen, William Happer, Freeman Dyson, Antonino Zichichi, and Roy Spencer “deniers”. I mean ya, how could they have missed it was a faked photo? It says a lot about your cause when you can’t use a real photo but have to use a photoshopped version to make a point….. like your cause has no basis in reality. Another AGW OPPS moment. They kept getting their hand caught in the “Cooking Jar”. The Icon of CAGW “science” …. The photoshopped polar bear on a photoshopped ice flow, drifting upon a photoshopped sea. Someone needs to create a version of the photo with Al Gore looking forlornly out to sea. But remember you heard it first on WUWT! Is there any part of the ‘science’ that the AGW folks haven’t forged, faked or cherrypicked? If they can’t even find something as simple as an actual photograph, it’s no wonder they can’t find any actual data to support their positions. Heh, it took a WUWT post to get their attention. They’ve replaced the image, with a very weak correction about a “collage” being used. Collages look like collages, photoshops look like photographs. I would have loved to have been a fly on the wall for some of the discussions about what to do with unscientific (and fake!) photo. Holy carp, that’s one gigantic penguin, did it eat the polar bear? That old photoshoped propaganda piece is still being used by NASA to brainwash our kiddies, even after it has been exposed as a fraud. Of course everyone is careful to not mention that Polar Bears have no difficulty swimming hundreds of miles! They used to be considered an aquatic mammal, but that was before the discovery of their utility for use in propaganda! So the dog chases its tail once again. First – Criticise skeptics for criticising climate science. Second – Offer a purely emotive image, completely synthetic but sympathetic to the consenus view. Fourth – Return to criticising sceptics for criticising Climate scientists in the next issue. Subscribe now for a free copy of ADOBE PHOTOSHOP ELEMENTS….. If you follow the link to Science, you will see that the photo has now been changed. To another photo of bears on a lump of ice. Nope. Why is one illustration terrible and the other merely… illustrative? Was Willis trying to define the real quantity of “unknown unknowns?” Were the Science letter writers talking about polar bears? The source image linked in the post also has an impossible-to-miss copyright water mark. Whoever bought that image could not have missed that. So, we know not only that Science magazine was professionally negligent, but that whoever chose that picture was intentionally lying. “P. H. Gleick et al. “Due to an editorial error, the original image associated with this Letter was not a photograph but a collage. The image was selected by the editors, and it was a mistake to have used it. The original image has been replaced in the online HTML and PDF versions of the article with an unaltered photograph from National Geographic. An “editorial error,” indeed. Science is very kind to itself. It is impossible that the editor who chose that picture didn’t know it was a composite image. We know that editor consciously composed a lie. Whether others on the editorial staff knew of the lie remains unknown outside of the editorial office of Science Magazine. Composing and publishing a deliberate and factual lie in a magazine devoted to science ought to be a firing offense. The fact that Science has chosen to excuse itself, twice passing off a deliberate lie as an “error,” shows how far this magazine has descended into corruption. The fact that Science has compounded its original lie with a second and self-exculpatory lie, all under the banner of “Climate Change and the Integrity of Science” (bolding added), is a bitter irony not to be overlooked. If you want an extra source of ‘proof” for anyone I suggest you simply use the linked photo of the penguine on the same ice sheet. Though someone could always claim that it’s just an undiscrovered species of giant penguin or that the penguin just looks big because it has just eaten a polar bear that was sitting on the block of ice just moments ago or that it’s a skeptic in a penguin suit who posed on the block of ice after the polar bear to make it look like the scale was wrong. A Penguin on an ice floe in supposedly the Arctic and nobody seems to have raised a hue and cry about it! I am waiting for the day that one of those “Science” publications use a “Penguin” photo to illustrate another ice catastrophe in the Arctic. With the level of ignorance repeatedly displayed by a couple of the “elite” science and “environmental” publications on our global geology, land mass distribution and species distribution, it is almost a given that some time soon a penguin will be used to illustrate another catastrophic, climate related disaster in the Arctic or a perhaps a photo of a polar bear on a disastrous climate change caused ice shelf breakup in the Antarctic. It’s hard to bear this discussion. Really hard. And sorry ’bout that ….it depends whose ox is being Gored, I think Or is it simply bull? I cannot help myself and will probably push the send button in spite of my better judgement. What nonsense, passing as science, is being fed to us! I’m a uk national, and I think to FOI request data from cryo, you need to be a US citizen. Seems they are still using this old photoshopped image even after it has been exposed as a fraud. While I have totally enjoyed referring to Al Gore as the “Goracle”, I am set back on my heels thinking “Ursus Bogus” may be a better name for him! It is a bit more obscure but considering his waste line, his ego, his real eatate ownership, it may be a better “handle”. Wait, I think I have it! From now on Al is: The Goracle/Ursus Bogus! NOW WE ARE TALKING PERFECTION! Adding to my comment above, the editorial behavior of Science, including partisan editorials indulging “denialist” slurs, lying to heap discredit on AGW critical scientists, and possibly partisan rejection of AGW critical climate manuscripts, can be legitimately described as making a “political assault” on honest scientists. Science magazine, in other words, is very likely guilty of the very charge made in the “Climate Change and the Integrity of Science” letter. Adding: this comment in the letter, “climate change deniers are typically driven by special interests or dogma, not by an honest effort to provide an alternative theory that credibly satisfies the evidence.” is a slander, followed by a lie, followed by a straw man. Those skeptical of the science supporting AGW are very obviously neither arguing nor denying “climate change” — nor global climate warming, for that matter — nor are they driven by special interests or dogma. They are not “deniers.” The strongest critics of the science underlying AGW, people such as Steve McIntyre, Chris Essex, Ross McKitrick, Roy Spencer, Pat Michaels, Richard Lindzen, John Christy, and many others, have made their strongest criticisms in the peer-reviewed literature. The letter authors must certainly know this. The straw man argument is asserting the need to provide an alternative theory in order to level a legitimate objection to current theory. This imposes a false limit on the bounds of science. It is entirely legitimate to criticize a theory as inadequate. It is a strict scientific necessity to show when arguments made in light of that theory are cavalier with uncertainty. The science underlying AGW has been shown severely wanting in both these regards. The fact that the authors have ignored this demonstration in their letter is silent testimony to their own dogmatic blindness. Anthony, how about a contest for the best photoshopped AWG image? Why should the warmists have all the fun? Exactly how complete of an idiot does one have to be to look at the “picture” on the cover of Dr. Spencer’s book and assume he is looking at a photograph? The stock photo’s owner is wonderfully honest. He created it because “it sells”. Out of the mouths of innocence. The people at Science clearly meant the photoshopped bear to imply something real about the global climate, even if they never explicitly stated such an intent. If you can’t see or understand the difference it’s little wonder you’ve been so obviously susceptible to AGW propaganda in the past as well as currently. Wrong. Citizens shouldn’t need to understand basic scientific facts. (Which is nonscience to start with. You don’t understand facts, you know, don’t know, accept or doubt them.) But they should be able to rely on major scientific journals publishing accurate science instead of pseudo-political propaganda. Clearly they can’t. “Science” and “Nature” are a disgrace to science and a disservice to humanity. Luckily for the healthily skeptical types AGW scientists can’t photoshop their climate research as effectively as iStock can photoshop their images. Except Roy’s intent was not to deceive viewers about icebergs. It’s just an image of “the tip of the iceberg” blown out of proportion, apparently a metaphor of the book’s subject. Mindbuilder wants a definitive study. Science uses cold hard facts. Politics uses emotive imagery. Was this photo in a scientific magazine, or a political magazine, you be the judge. So is the problem that Antartic ice floes have drifted to the Arctic or is it the poor poley bear that migrated all the way south due to AGW induced range change or perhaps he was a strong swimmer despite the drowning hype? It really is worse than we thought! Nup. Dr. Spencer used a pic that has been well-established as Photoshop™ped, that the artist admitted was Photoshop™ped, and has been held up as an example of the great results you can get with Photoshop™ for at least a decade. If a penguin steals a polar bear’s last gold piece, can the surviving manatee sue for species infringement? Taxonomically, damnit, it should be Ursus bogus. Italicize, and do not capitalize the species, as in Ursus maritimus and Homo sapiens and Pan troglodytes. Sorry to pick nits (Pediculus humanus, subspecies capitis), but considering the price I paid for an undergraduate degree in Biology all those decades ago, I am – goddamn it – going to insist on getting some use. Yes. We are deeply disturbed by the recent escalation of political assaults on scientists in general and on competent climate scientists in particular who dare to refute the AGW hoax with scientific evidence you choose to ignore, deny, and decry. All citizens should understand some basic scientific facts, including the scientific impossibilities and improbabilities associated with the AGW frauds and scaremongering. The publishers of Science can make a positive contribution to the de-escalation of the political assaults on scientists by prominently acknowledging and condemning the misrepresentation and fraudulent usage of the polar bear image to convey a false impression. Actually his picture is referred to as “Cover Art – copyright – Ralph A. Clevenger/Corbis”. Art isn’t science or is it? BTW Roy’s book is very good. Taxonomically, it should be Ursus dolus. When I was young and walked to school in North Norway, we had to fight ice bears the whole time. The picture has been replaced by one taken in the Hudson Strait, a passage to Hudson Bay which is ice free every summer, the ice being from a glacier. Science neglects to reveal this however, despite the embarrassment of the first picture. They can’t get one right, can they? Science indeed. Oh, cool! I’d like that. With a polar bear and a penguin. maybe the Photoshop guy, whatsisname … Jan Will, wouldn’t mind doing that. I’d chip in. Yeap, CAGW – it’s all done with computers. How did you find that!? I searched all over their website. That’s a doubly useful txt data file, cos I think it has area and extent. Thanks! This is just 5 data points per years so not what I’m looking for. No prob, since I got everything I need from the 1st link. Anyone do the same for nansen-norsec? Precisely. And he keeps creating them for the same reason, although I suppose that he’s also having lots of fun doing them 🙂 Well, I would. It’s not wrong to make photoshop designs like that provided you don’t attempt to sell them as truth. The artist states clearly that it’s made-up. Science mag doesn’t say so, and that is the dishonesty (or sloppiness). Using “artists impressions” is not wrong either , but they must be labeled as such. Like, conjectures that fail almost all their previsions belong in the wastepaper basket. (The “almost” is there just out of kindness). Is Science inhabited by Homo sapiens bogus? The hoaxers are acting upon the belief that a picture is worth a thousand words and perhaps ten thousand scientific articles when it comes to marketing the hoax to gain public support and denying media access to peer reviewed publications and legislators. so surprising to see how much time is wasted with a photograph. Why not spend time discussing the science? Why not combine the polar bear with the penguin? Of all these members of the U.S. National Academy of Sciences who signed the letter, how many are employed by or receive funds from government? All of their names are there and if anything ought to be endangered it is the practice of paying them to justify their continued employment on my and your dime. Is there any solid science out there that has actually determined the perfect conditions for polar bears? We know that most all will likely die if no ice melts at all and then there’s no place for seals to surface or for polar bears to enter the water. We also know that if all the ice melts many stand a good chance on shore because their food is in the water and they are such good swimmers. So what is the perfect ‘in-between’ environment for them? Has anyone attempted to answer that question? U.N. Secretary General Ban Ki-moon has refused to comply with numerous orders from a new U.N. personnel tribunal to hand over confidential documents and other sensitive information needed to resolve legal claims by U.N. employees of unfair treatment, according to court documents. The dispute has set the stage for a power struggle between the secretary general, who is seeking to fend off court challenges to the authority of his office, and the dispute tribunal’s judges, who argue that claimants can’t prove they have been wronged without access to internal documents or confidential witnesses. … considering the price I paid for an undergraduate degree in Biology all those decades ago, I am – goddamn it – going to insist on getting some use. Well, in that case, I will make the motion to this international board of Watts Pickers that we henceforth call it Ursus bogus mataresi. Did I get that right? Lower case surname, -i on the end to make it look kinda, sorta Latinish. Note also, that the photo was called “The Last Polar Bear”, so we can retitle it as “The Ultimate Polar Bear.” Take good care of it – there won’t be any more! Please, it’s not “photo-shopped”. It’s post-normalised. I bet they think the image of Mann’s hockey stick graph is real too. In the name of science, please do not send Science magazine your images of tooth fairies and unicorns, thhat would destroy them. That WaPo article was well worth reading, thanx for posting. UN head Ban Ki-Moon is as corrupt as Mugabe, as this article shows. Since when do UN “police” have the authority to break into someone’s home? The fact that this story is being reported by a major mainstream liberal newspaper indicates that UN corruption has become too pervasive to ignore. It might be a false positive, but I’ll submit it to Eset. Can the original source images be found? Would be nice to have an extra dose of proof to use on anyone who still claims that’s a genuine image. One is tempted to point to this image, but on the other hand…. ‘Collage’ comes from the French ‘to glue’ and no way is a Photoshop image ‘glued’ together from physically cut or torn picures as in an actual collage. The invention of the technique as an artistic mode of expression is credited to a joint effort by Picaso and Georges Braque, who spent some time sharing a studio and decided to try the technique ‘for fun’. They eventually decided they were on to something they could market as ‘fine art’, then divided up their accumulated efforts into roughly half each then signed them before hitting the Art market. 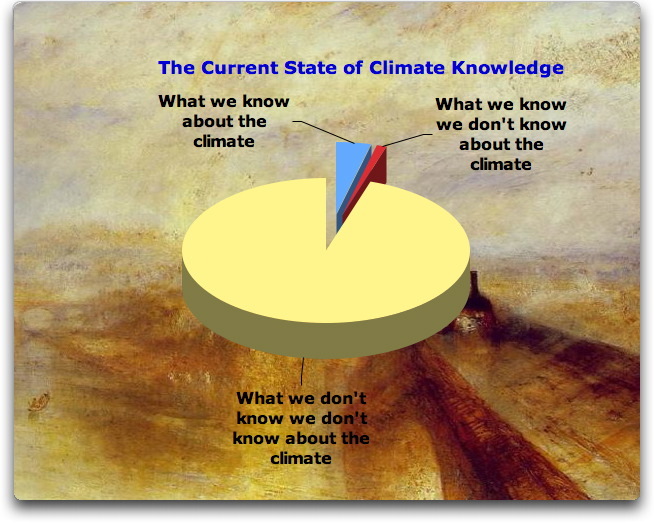 It seems that the AGW movement is monstrously ignorant about just about everything it sticks its clumsy fingers into. The actual Photoshop process is a product of modern digital imaging and is a product of the ongoing march of real applied science. Slightly OT, but the BBC website currently carries an article about the mass extinction of all kinds of creatures due to global warming then the writer coyly segues into the area of ‘too many humans’. Sadly, the brand new UK coalition government is loudly Warmist and has already appointed a senior Minister of Environment & Climate Change. Yeah but that poley bear just looks so darned cute and fuzzy all by his lonesome on that chunk of ice…. 3 inch razor sharp claws and all. Photoshop schmotoshop. I think he needs a big hug anyways… I nominate James Hansen to be the first one to give him big ol’ lovey huggyboo kisses. Agree with Josualdo. It is the outlets like Science which create the demand for alarming-looking pictures and artwork in the first place. The photographer’s reply is very revealing indeed. We know that most all will likely die if no ice melts at all and then there’s no place for seals to surface or for polar bears to enter the water. Not to worry. The ice cap isn’t a continuous, unbroken sheet. If a seal isn’t around open water (a lead caused by wind or currents shifting the ice) or a natural hole (a polynya), it will gnaw several breathing holes in the ice at some distance apart and keep them open by re-visiting them at random. The breathing holes are what a polar bear looks for and where it waits to ambush the seal. You know, when something out of the blue just strikes you so funny, you just can’t stop laughing…..
Arctic, Antarctic, wherever it is, maybe they should send those assaulted scientists there for some R&R…it’s obvious the penguins are thriving. That one’s as big as a damn bear. From a scientific perspective, CAGW has been debunked. The sciences are prone to so-called “foundational errors.” When such an error is discovered in a science, this science is invalidated; to elminate the invalidation, it must be rebuilt on a solid foundation. CAGW science contains foundational errors but the science has not been rebuilt to correct them. Currently, therefore, this “science” is a pseudo-science. * It would be easy to modify the IPCC climate models for falsifiability. If this were to be done, these models would be falsified if given sufficient testing. * The atmospheric CO2 greenshouse effects are falsified ( http://arxiv.org/abs/0707.1161v4 ). The second of the three bulleted items follows from the fact that once made falsifiable, the models would predict the outcomes of statistical events deterministically, that is, with probability values of 0 or 1. This would amount to the assertion that information was not missing about the outcomes. As information would surely be missing, this assertion would be false. The falsity of the assertion would be discovered upon sufficient testing. There is also Godel’s Incompleteness Theorem, which posits that if something is not testable, it isn’t science. Smokey, i think you had Popper in mind. Godel’s Theorem doesn’t just apply to mathematics, it applies to logic, including models. Popper was Godel’s contemporary, and they influenced each other. Falsification can result from testability. But if something is not testable, it isn’t science. Well, but it doesn’t say “if something is not testable, it isn’t science.”. It says that no axiomatic system can be complete in itself. You’re of course right in pointing out (via your link) that Gödel’s theorem was the major cause for the big crisis (or maybe even the end) of logical positivism. So yes, the picture is visually accurate. ‘Collage’ comes from the French ‘to glue’ and no way is a Photoshop image ‘glued’ together from physically cut or torn picures as in an actual collage. The invention of the technique as an artistic mode of expression is credited to a joint effort by Picaso and Georges Braque, who spent some time sharing a studio and decided to try the technique ‘for fun’. Photomontage – composite photos – are just about as old as photography itself. Photographers started making and selling them (“fake photos”) right in the 19th century. As you mention, it’s quite a different process than collage. 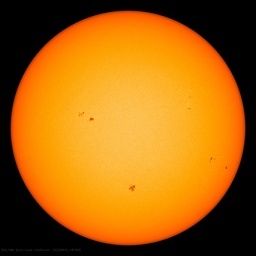 Not sure why it should matter to the AGW crazies even if it is a real picture. The polar bear is classified as a marine mammal. They spend most of their lives on the ice or in the water, rarely visiting land. They are great swimmers since their forepaws are partially webbed, they have excellent underwater vision and their nostrils close under water. This is their natural environment. I’m not positive, but I sort of remember Gödel’s theorem states that no strong axiomatic system can prove all true propositions (incompleteness). And that in order to do so, the system must be “weak” and incur into self-contradiction. I find it a great sobering theorem for our deified rationality. Falsifiability / testability is Karl Popper’s stuff. Venus Envy and now Ursus bogus? You do know how to build a headline Anthony. Little things can mean a lot. One problem with this pathetic example of what we used to call “nature faking” is that it misses the main point about the polar ice packs. It’s the albedo that is the major climate concern – in short, ice reflects solar radiation, open water absorbs it. Of course this is a gross oversimplification of the real situation, but if you want to illustrate it, don’t fiddle with critters, just show dark water and light ice. The original (oops) and the replacement in this case don’t even accomplish this very well, in fact they display some of the inherent ambiguities of albedo with slanting rays and irregular surfaces. One has to wonder why the eminent letter writers didn’t provide their own photographs. If they had called me, I would have been happy to submit sea ice pictures with very dark water and very bright ice, gratis, FOIA unnecessary, no PhotoShop, no so-called “collage”. (No bears though – how about a Russian icebreaker?) This is why it’s best to exhibit your own pictures – if you didn’t take them yourself you don’t know where they’ve been. I’m going to have to concede the point re: Godel. I had a great synopsis explaining how the Incompleteness Theorem applied to the scientific method in general, but now I seem to have lost it. If I can find it I’ll post it. I’m more familiar with Popper than Godel, and we’ve had some good threads here on Popper and the scientific method. It goes without saying that alarmists don’t much like Popper, because he holds their feet to the fire. Without a cuddly yet vicious polar bear your picture is meaningless to the semi-literate who believe in AGW. Even if the photo wasn’t “composed”, polar bears can swim hundreds of kilometres. I am amazed at the amount of unchallenged nonsense about polar bears drowning as if they were not accustomed to the water. Why doesn’t polar bear expert jump in and give us the lowdown on this. When examining the image with a zoom in a photo processer software, the evidence of the “wave” distortion from the water, disappears in the bear’s shadow. If you are going to fake such images, you’d better understand the physics of imagry, much less the physics of the atmosphere. You say you’re not so interested in climate change art so sorry to bother you with this. Here’s something I noticed looking at the recent EPA Climate Indicator document. It contains a picute of Muir Glacier in 1941 and 2005 that is essentially like this. The inference being they are taken from the same spot. The individual pictures are on the USGS website with accompanying text that again suggests they are taken from the same spot. If you google Muir Glacier you realise they appear on many sites. There is a third photo taken in 1950 which obviously is taken from the same spot as the 1941 photo. Somebody has kindly put all three photos together here. Is it me or is the modern picture taken from a completely different part of the valley? The rock outcrop on the foreground left certainly gives the impression that they are identical but everything else says not. The 2004 valley appears far wider this is apparent when the 1950 picture is included. And the background mountains look much further away in the 2004 photo. It looks to me like the 2004 picture is taken much further down the valley or is something messing with the perspective in the 2004 picture. I know climate change art is a trivial matter but I’d be interested to know what you think especially in the context of the EPA document where it seems to be displayed as part of the supporting data for glacier retreat. I have not been following this issue as closely as I should, and I don’t have the time to wade through long PDFs. But my impression is that the IPCC climate models have already been falsified. For example, they predict increased global warming when levels of CO2 and certain other GHGs increase. Since 1998, we’ve had the latter, but not the former; hence falsification. Am I missing the boat? What’s the problem? Who thinks that Spencer wants us to think that icebergs will look like that? No one, that’s who. Who thinks the Goricals want us to think polar bears will be living on 10 sq ft of ice? Put that ponce of a Vice-Chancellor there with Jones. Did you watch him at the Commons “inquiry”? We also know that times were warmer in teh past after the polar bear species separated from the brown bear and yet here they are, still going. Makes you think they only survived as a species so the alarmists woudl have something to get alarmed about. The first incompleteness theorem states that no consistent system of axioms whose theorems can be listed by an “effective procedure” (essentially, a computer program) is capable of proving all facts about the natural numbers. For any such system, there will always be statements about the natural numbers that are true, but that are unprovable within the system. The second incompleteness theorem shows that if such a system is also capable of proving certain basic facts about the natural numbers, then one particular arithmetic truth the system cannot prove is the consistency of the system itself. Science mag should change it’s name to “willingly duped”. Besides the faked ursus bogus pic, I learnt in my first year of Collage…, that polar bear are a sub-species of brown bear. Saying polar bear are in danger of extinction is as silly as saying arctic fox are in danger, as both are arctic adaptations! Maybe the goose-stepping editors at “willingly duped” are mad-hatters from years of breaking CFL bulbs? What else can explain such basic dishonesty? Notice that no one is actually talking about the actual science or emperical evidence here – sure, did they f&ck up on the image. You bet. Does it change the data – nope? Oh, and an image doesn’t go through a peer review process you jack-#ss. Can’t you even get the basics right on what you are attacking?